Aside from being shortlisted for 'Promotional Agency of the Year', TLC Marketing are also up for awards in the 'Service Delivery', 'Creativity & Innovation' and 'Client Service' categories. 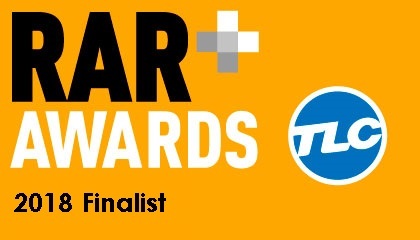 John Pearson, General Manager at TLC Marketing, said, “The RAR Awards have a special place in my heart as winners are picked entirely on client reviews. Being shortlisted in four categories shows our clients must be happy and fingers crossed, we may pick up a few awards on the night including ‘Promotional Agency of the Year’ for a third time." The Recommended Agency Register is a global database that allows brands to see the best in the business as recommended clients. Now in its eighth year, the best agencies are recognised at the RAR Awards. This year’s winners will be announced at a ceremony on the 24th April at the Marriott Hotel, Grosvenor Square.